1. Bring a large pot of lightly salted water to a rolling boil. 2. Trim the ends of the brussels sprouts, remove any damaged leaves, and then cut them in half lengthwise. Once the water is boiling, parboil the brussels sprouts by dropping them into the pot and cooking for 2-3 minutes until they turn bright green. Drain and set aside. 3. In a large skillet or sauté pan, cook the bacon over medium heat for several minutes until the fat has rendered out. Pour off and discard excess fat, leaving about 2 tablespoons worth in the pan. Stir in the balsamic vinegar; toss to coat the bacon. 4. Add the brussels sprouts to the pan, toss together well with the bacon, and continue to cook until the sprouts are tender and the bacon crisp around the edges. Season to taste with salt and pepper. These look so tasty, can’t wait to try it. 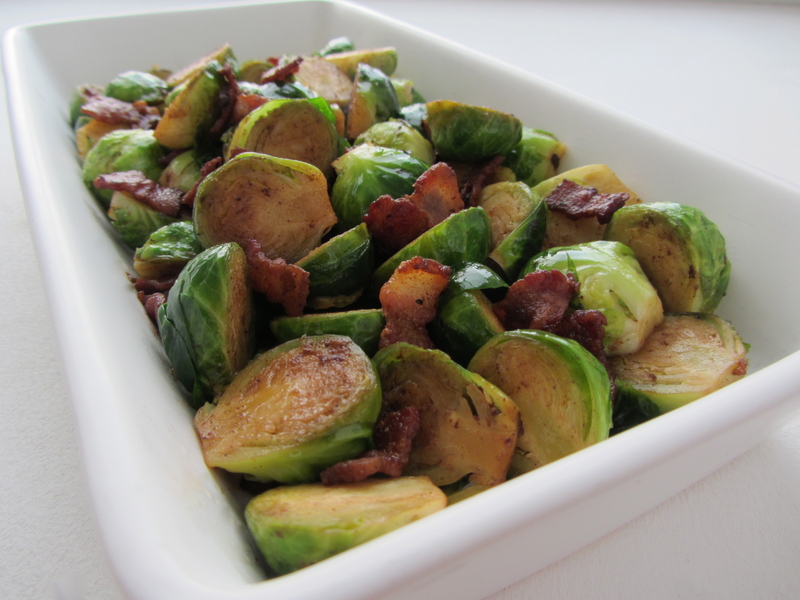 I do like brussel sprouts and this looks a great, easy side dish! Thanks! Would love to hear how they turn out for you!